Rational Pastime: Are the 2015 Minnesota Twins Lucky Enough to Reach the Playoffs? Are the 2015 Minnesota Twins Lucky Enough to Reach the Playoffs? The Minnesota Twins have no business being as good as they are. 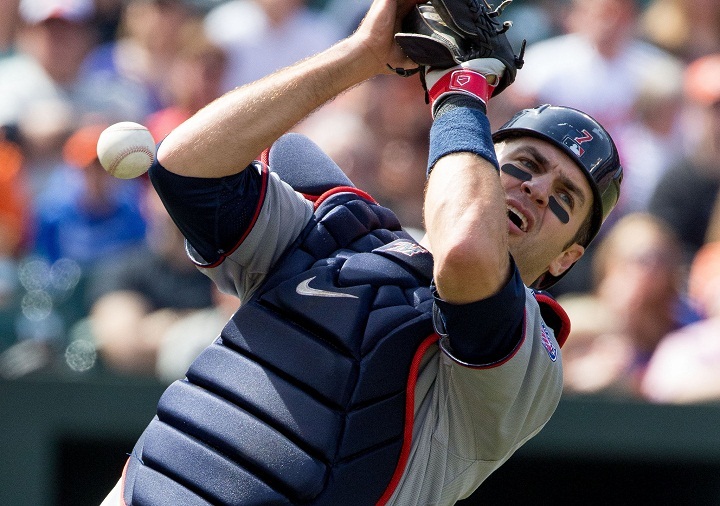 By every advanced metric, the 2015 Twins are overachievers, and have been all season. On May 31st, the Twins reached their high water mark, posting a win rate of .612 and sitting pretty at 11 games above .500. That was good for the best record in the American League and second best in Major League Baseball. To reach that lofty position, Minnesota had scored 225 runs over 49 games while allowing 204. Plug those numbers into the Pythagenpat* formula and you get an expected win rate of .546. That's good, but it's not upper echelon. With the second best win rate and only the seventh best expected win rate, we can deduce that the Twins had been at least a little bit lucky in winning the games they did. But just how lucky were the Twins to score (and prevent) the runs they did? Turns out, very. As even the least-experienced observer of baseball would recognize, run scoring is the result of in-game events, including walks, hits, stolen bases, and so on. In these categories, the Twins were generally worse than their opponents. Through May 31, Minnesota had allowed 40 more hits than they produced (426-466), including six additional doubles (84-90), one additional triple (10-11) and eight additional dingers (39-47), altogether yielding 72 more bases than they reached (647-719). By that same point they had only walked twice more than the opposition (118-116) while stealing nine fewer bases (19-28) and being caught thrice more (15-12). Literally, the only major category the Twins bested their opponents in at the time they ruled over the American League was walks, and that just barely. Plug those numbers into the BaseRuns formula that I use in my RPScore model and you wind up with ~194 runs scored versus ~224 runs allowed. 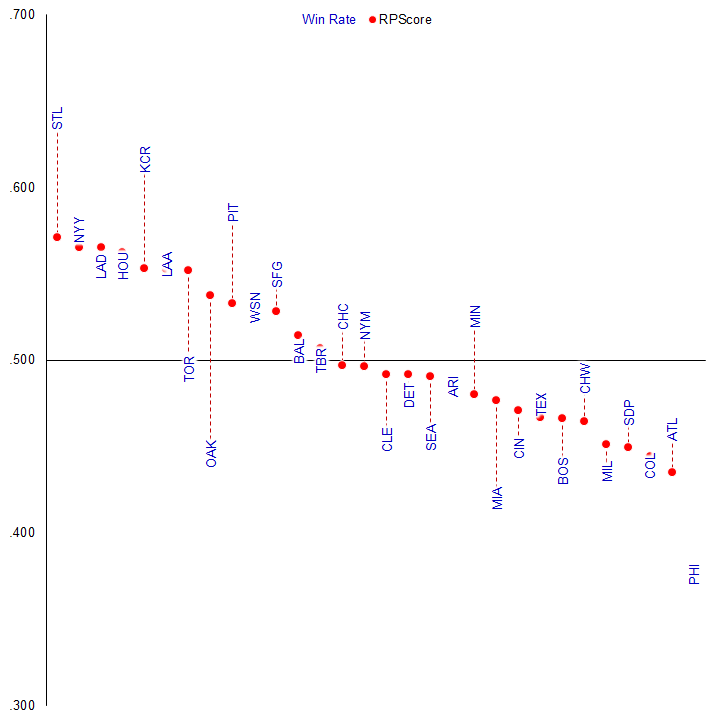 Minnesota's expected run differential on May 31st ranked 24th in all of baseball, and plugging those expected runs into the aforementioned Pythagenpat formula yields an expected win rate of just .434, also good for 24th. Since then, the Minnesota Twins have regressed considerably towards where the advanced metrics would expect, though not entirely so. Over the next couple of weeks or so, Minnesota shed seven games relative to .500, and since then have generally stabilized with a win rate between .525 and .550. The Twins now find themselves eight games back of Kansas in the AL Central. But their current win rate of .531 is still .022 better than their Pythagenpat expectation, .088 better than their BaseRuns expectation and .051 better than their RPScore expectation. More importantly, the Twins are still holding onto the final wild card spot, besting the Toronto Blue Jays and Baltimore Orioles by three games. Despite the luck and the tenacity of this season's Minnesota Twins, my latest projections do not expect the Twins to maintain their position. Given their RPScore and their remaining schedule, my simulation puts Minnesota's median outcome at 82 wins, three back of Toronto's median projection. Put another way, my numbers have so little faith in the Twins that they expect Minnesota to shed five games to their nearest opponent with only a third of the season left to play. *None of these numbers factor in the Kansas City Royals' recent acquisition of Johnny Cueto or the Blue Jays' blockbuster deal for Troy Tulowitzki, both of which adversely affect the Twins' chances at an October run. 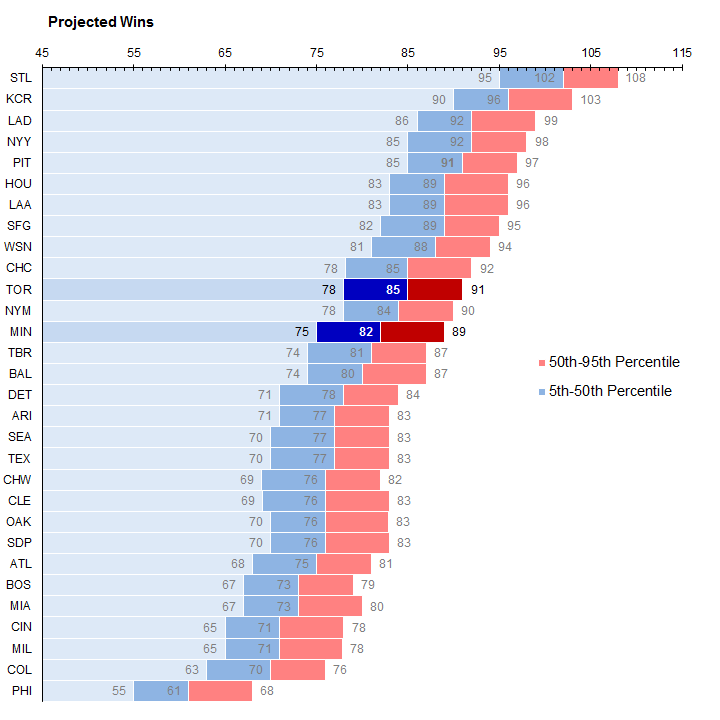 Of course these are only median outcomes and, as you can see, there's still plenty of overlap in the upside and downside projections for both teams (the current margin of error of 6.5 wins is twice the expected spread between the teams). Nevertheless, the numbers (and my analysis) imply that the Twins must continue to play above their station if they are to reach even the play-in game. The Twins have overachieved throughout 2015, but will their good fortune continue? As is always the case with good luck, the odds are against it.